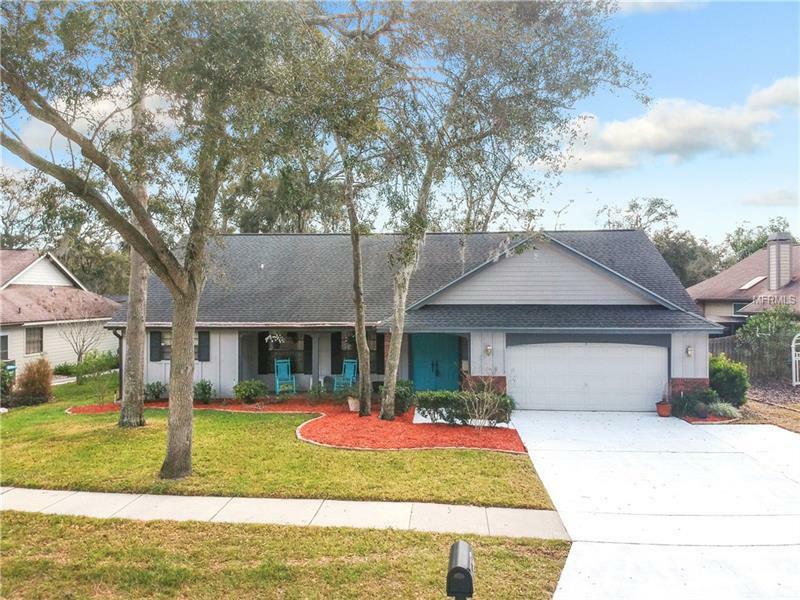 This is the Palm Harbor Home that you have been searching for & dreaming about! This 3 bedroom, 2 bath home is absolutely gorgeous & has been updated with high quality finishes & meticulously maintained. Amazing chefs kitchen is open to the family room & features beautiful granite countertops, large bar area, center island, loads of cabinet space with updated soft close cabinetry, stainless appliances, backsplash & large window with view of the park like backyard. Engineered Hardwood floors run throughout the the Living Room, Dining Room, Family Room, Kitchen and hallways. Large master bedroom has a sliding door to the lanai. Master bath is very spacious and has been updated with new cabinets, sinks, bathtub and tile flooring. Master closet has tons of storage room & built in shelving. 2nd Bathroom has been updated with new cabinet and tile flooring. 2nd Bedroom is also large with oversized closet & window view of the beautiful back yard. 3rd bedroom has a large walk in closet. Home also features a large screened in lanai, complete with a portable room AC unit that does a great job cooling that entire area. Oversized 2 car garage. Back yard truly is a relaxing, park like setting with a large deck that was recently replaced, firepit & plush landscaping. There is also a sprinkler system. Why pay to maintian a pool? The HOA is only $240/Semi Annually-$40 per mo includes use of the large community Pool, Rec Area, Playground & 2 Tennis Courts & is just down the street. Home Warranty is also included.